France! Home of Paris and Provence. Land of amazing food and the Eiffel Tower. Host to much of the world's best art. Endowed with a rich tradition of children's songs and rhymes. 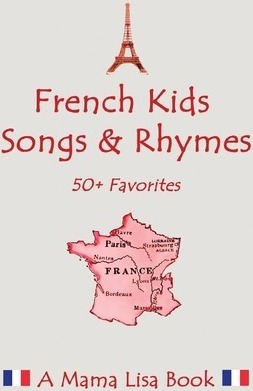 In this book we've gathered over 50 of France's best-loved traditional children's songs, presented in their original French language and with translations into English. Many have commentary sent to us by our correspondents who are immersed in the traditions and culture of France. You'll find well-known songs like Frère Jacques, Alouette and Au clair de la lune, alongside many you may never have heard of. These songs are still sung today, but many hark back to France's rich history. A time when church bells were still used to tell the time, as in Frère Jacques. A romantic time when knights roamed the land looking for love, as in Compagnons de la Marjolaine. If you're not a native you'll have a chance to learn the songs that every French child knows and loves. At the end of each item in this book, there's a web address to an online version of the song or rhyme. There we are often able to include sheet music, recordings and videos of performances. We hope this book will help foster a love of French songs and culture all over the world! Studies in Macroeconomic History: The Great Recession: Market Failure or Policy Failure? Studies in Macroeconomic History: Central Banks at a Crossroads: What Can We Learn from History?